HOUSTON (November 29, 2018) – Two adults were killed and a child was injured in a crash in north Houston Thursday afternoon. 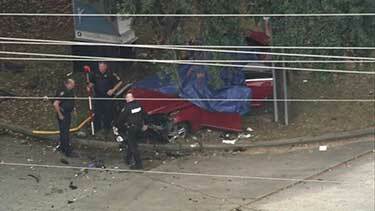 The crash happened around 12:30 p.m. on the intersection of 200 Hollow Tree Lane near Beltway 8. Authorities pronounced a woman dead on the scene and a man later died at Houston Northwest Medical Center. The 5-year-old was injured in the crash and was taken by Life Flight to the Medical Center. Deputies said the child is expected to survive. The crash remains under investigation. Harris County Sheriff’s Office recommends drivers to avoid the area and major delays are expected. We will update you as more details become available.